New Delhi: There are some six lakh Indians working in Qatar and there is no need to evacuate them as the situation there is normal, the government said today. Four nations in the Middle East have boycotted Qatar for allegedly supporting terrorism and allying with regional foe Iran. 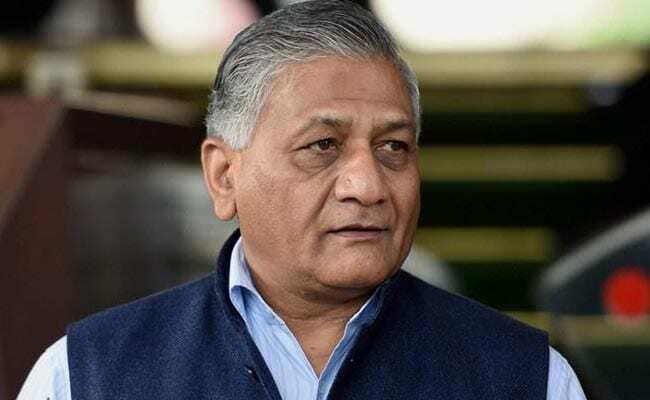 There has been no adverse effect on Indians living in Qatar, union Minister of State for External Affairs General VK Singh (retired) said in a written response to a question in the Rajya Sabha. Saudi Arabia, the United Arab Emirates, Bahrain and Egypt have severed diplomatic ties with Qatar. Among other demands, they have asked Qatar to cut ties with Iran. In response to another question, he said there has been a decline in the number of Indian workers going to Middle Eastern countries for employment, attributing it to economic slowdown in those nations. He said 7.75 lakh Indian workers went to the Middle East in 2014, followed by 7.58 lakh in 2015. The number fell drastically to 5.07 lakh in 2016.